If your bobbin case has a backlash spring, remove spring before inserting this bobbin. Always insert the prewound bobbin with the magnet facing down. 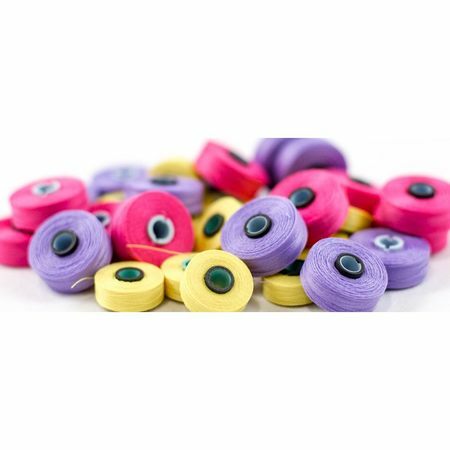 Fil-Tec's Magna-Quilt prewound bobbins are a high quality Egyptian long-staple cotton. 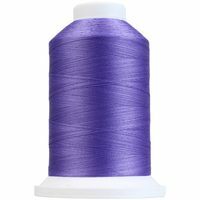 The patented magnetic core prevents backlash creating consistent stitches and eliminating the need for a backlash spring. (If your bobbin case has a backlash spring, remove spring before inserting this bobbin.) This trouble free bobbin reduces lint and residual build up in the bobbin case. Always insert the magnet down into the metal case. 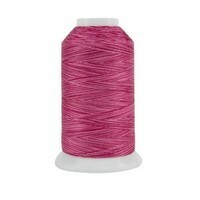 Each bobbin contains 74 yds of Tex 24 thread. Each container comes with 20 bobbins. Made in the USA.